As a new forum user I will introduce myself. I am Koen Peters, 28 years old. Living in the Netherlands, close to Rotterdam. Almost celebrating my 12,5 year anniversary as a Toyota mechanic. Started as a 16 year old apprentice and worked my way up to get my Toyota master technician degree and Diagnostic Technical Specialist degree. Since a couple of years I am chief workshop at a Toyota and Suzuki dealer. I always had a big interest in Celica TA23, very very nice looking car. A bit skinny on the wheels and engine. My target is a nice aubergine colored TA23, nicely lowered en and sitting on nice wide wheels with flares. Enginewise i want to go 2JZGTE. In the build I want to use a lot of Toyota parts from other Toyota's as seats from a Celica T22, IS300/Altezza brakes and so on. I hope that I might find a original Dutch TA23 trough this forum, importing a car is not my preference because here in the Netherlands the car would get a brand new licence plate what would break down the classic car image. youve had a lot of cars in the 10 years you re having your license. what did you do with them.? Crashed them? No..if you import one you can get a --YB-- old blue plate. 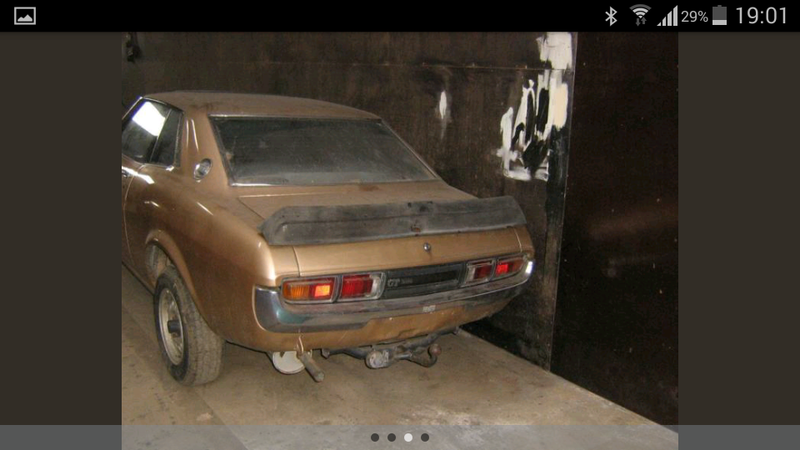 the 1st gen Celica see in holland is fished empty i think. 2 of the starlets and the ke70 are wrecked, not my fault by the way. Normally after a year or so i get bored with a car and i will look for something else. Maybe its my current age but the ct200h is a keeper, really like the car and its looks. Its not fast but i dont really care nowadays. A fast weekend drive is what i want. Maybe my fine of 1250 euro for speeding a couple of years ago helped with it. I did some research on the point that patje1100 mensionent. He's wright, it is possible to get eu cars on old plates in Holland. So i am looking international now, not much better fish in the pool but a lot more chances. So if enyone hears about a unrestored T23 in the EU please let me know. I am even considering a TA28 if its a good base. Yesyesyes! I found not one but two ta23s. Bought them both. One is a original dutch car, someone started restoring. New rear fenders and new wiper panel. The body is in relative good shape. Unfortunatly a lot of parts are not with the car anymore. The other car is a german. Had a respray in the 90's but needs to be done again due to rust. This one is complete and also in pretty good shape. The german will be the first to get worked on. I will make it driveable before summer. Then i will start on the dutch car thats gonna get a 1jz or a 2jz. This is gonna be a long term build. This week both cars will be pulled out of the shed. Neither one of the cars is running so thats the first thing to do. When i start with the cars i wil post it in the project departement. Here are some pore pics. I will take some better pictures soon. The brown one is a german en the yellow one is a dutch car. Both cars are from 76, just a couple of months between them. Both STs, the yellow one is much better preserved, minimal rust. Both rear wings and wiper panel are replaced with original panels. I see where you wanna go. To import the German car it must have a technical check. 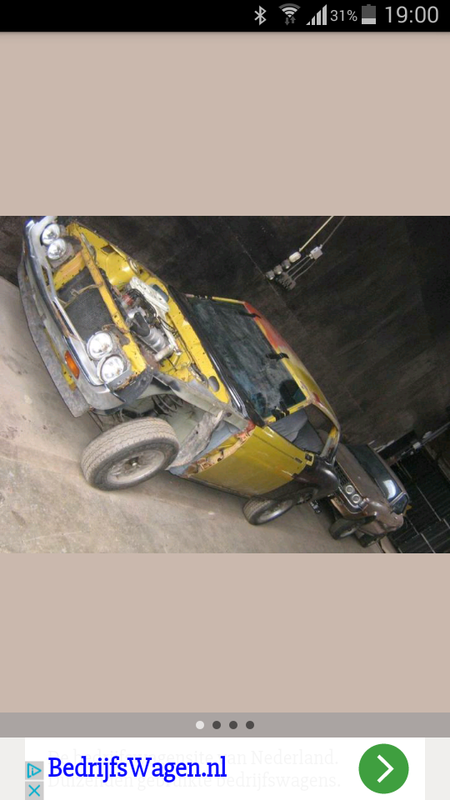 Too much rust at critical areas means welding....than the brakes, rubbers electrical and you need to get that engine run reliable....this car can become a project also. Do it.....and get that feeling driving an old Celica. i was in the perception of 6 cylinder engine swaps but thats not the case.